After doing a bit more research, this other mysterious Atlantic archipelago is now on my travel bucket list. Located a bit closer to Europe than the Azores, Madeira is just 310 miles off the western coast of Africa, and 620 miles south of Europe. It’s only about an hour and a half flight from Portugal and around 3 hours from the rest of western Europe. What’s so special about Madeira you ask? Well, let’s just say that its nick names are, “The Pearl of the Atlantic” and “The Islands of Eternal Spring”. Temperatures stay year around between 20 C – 27 C (68 F to 80 F), and the climate is sub-tropical, sounds damn good to me! Most people’s home base when traveling to Madeira will be the capital city of Funchal (named after the abundance of Fennel found in the region). Funchal is a quaint city with beautiful architecture dating back hundreds of years. There are a multitude of quality hotels, hostels and other accommodation options in Funchal as well as a slew of restaurants serving everything from delicious local seafood to international cuisine like Sushi and Mexican. Don’t forget about the pretty popping nightlife on the weekends as well! Just like the Azores, the small towns and cities offer a break and center to find everything you may need, but the countryside and nature are the real draw. 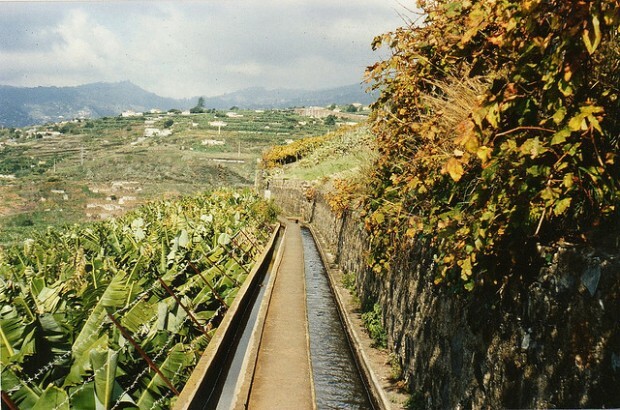 Some cool things to do in Madeira is see the Levadas, a unique set of aqueducts started in 1461 to bring fresh water from the mountains to farms and the Cabo Girão, one of the highest ocean cliffs at 590m (1,935 ft!). Another great activity would be to rent a car and stop at the miradouros (lookout points) for epic views from all around the island. You could easily spend more than just a few days in Madeira, and especially if you check out the other islands in the archipelago. Hopefully you find Madeira as intriguing as me, and if you’re from Europe, you have no excuse to hop a cheap flight and check it out! Posted in Portugal. RSS 2.0 feed. « Living Large And Wild In Moab, Utah! 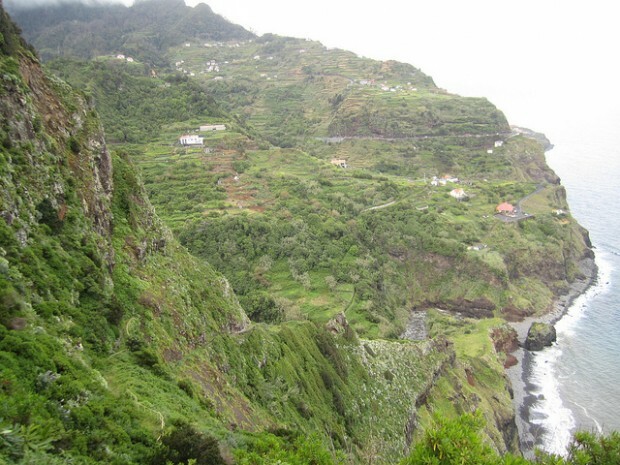 3 Responses to Madeira – The Pearl of the Atlantic! Wow, this is my first time hearing about this area of the world, just like last year was my first time hearing about The Maldives. I kinda wrote off Europe as a desired travel destination, but this hidden gem is causing me to reconsider. of the Atlantic! – Top Spot Travel. I do have some questions for you if you don’t mind. look as if they are left by brain dead individuals? 😛 And, if you are writing at other social sites, I would like to keep up with you.